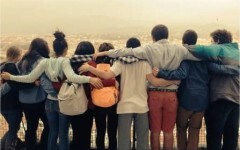 Traveling and studying abroad is an incredible opportunity that not many students take advantage of. 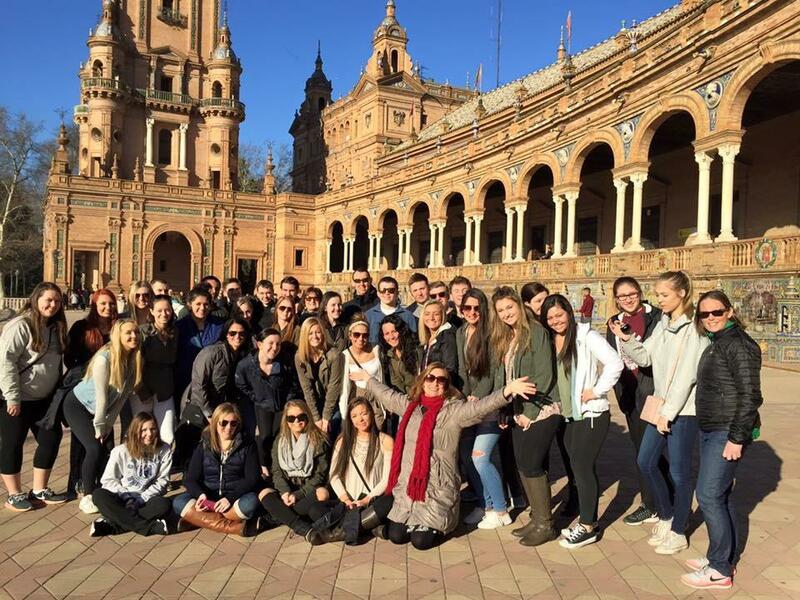 Recently, I was fortunate enough to travel to Spain through Abington High School’s International Study Abroad trip, and it was a life changing experience. Throughout school you can take foreign languages and learn about different cultures, but nothing compares to seeing them firsthand. During seven days in Spain, I learned and retained more Spanish than in all five years in the classroom, as it was necessary to communicate with the people who lived there. Upon arriving, many students were overwhelmed and tired, yet still able to feel anticipation for the memories to come. On the first day, we went to Plaza Mayor in Madrid and walked around as a group in an attempt to get a feel for our surroundings. Our tour guide, Ms. Casagrande, also known as “Big House,” was a great lady who really helped make our trip amazing. Next was Toledo and Granada. Toledo has an amazing view of the city with beauty that no picture can capture. Everyone on the tour was given breakfast and dinner, but we were responsible for lunch. Many of the chaperons and our tour guide said to try new things, but places we were used to such as McDonalds were extremely tempting, and often that is what we resorted to. In Granada, we did a scavenger hunt throughout “la Alhambra,” and it was here I found out that “Granada” means pomegranate. Seville was an extremely entertaining place. Flamenco dancing is very common and we went to a gypsy cave to see firsthand the intensity of the dance. (One of the dancers was very sweaty and dripped on some of the teachers and students!). The rock of Gibraltar had monkeys and we got to go inside caves. Finally we visited a city called Ronda which was located on top of a very large mountain. When we first arrived, every single house was white and it looked like no one was really outside. However after further investigation, we made our way to the city’s center and got to end our day exploring and talking to the people who lived there. During this trip I learned so much about life in another country and became even closer with some of the people I traveled with. One article is nowhere near enough space to talk about everything we did there, and although we experienced a few bumps in the road (like the driving skills of Jaime our bus driver; Dave (Lyons) almost getting kissed by an old lady; and our bus breaking down on the side of a highway), it was unforgettable and I wouldn’t change it for the world. I recommend any student thinking about traveling to do it. I promise you won’t regret it. 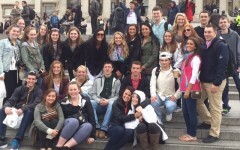 Students attending the trip were: seniors Michael Burgess, Matthew Burbine, Patrick Callanan, Kailey Campbell, Kailey Cardinal, Emily Chambers, Charlotte Clark, , Kathryn Clark, Alyssa Devlin, Lauren Doherty, Derek Gately, Alexis LaPointe, Dave Lyons, Taylor Johnson, Megan Meehan, Greg Oreste, Brooke Ritchie and Sam Snyder; juniors: Michael Barry, Marina Brennan, Evan Fanara, Ashling Geary, Avery Klein, Cassandra Marando, Paige Reynolds, Ashli Roberts, Sean Spencer, Morgan Sweeney, Santina Vanasse, Angela Varney, Olivia Whalen and Kathryn Wood.